I love all kinds of fiction and I was happy to read a suspense book for a change of pace from what I have been reading lately. 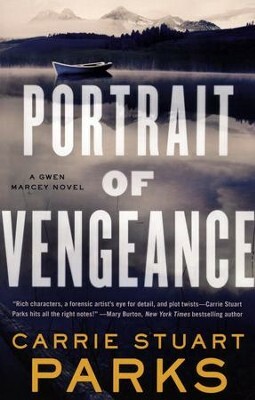 Portrait of Vengeance tells the story of a woman who is battling demons from her past while working on a kidnapping case. This is a great book for anyone who is looking for a story that will keep them guessing, and a story that has heart and not just mystery. I really like the characters in this book and I felt like I got to know them as I read it. I felt like the author did a good job of describing the settings so that I felt like I was really there. There were things in this book that I did not figure out until the very end. This story has heart and it kept me connected. Parts of this book are a little odd, like lighthearted thoughts right after a death, for instance. I give Portrait of Vengeance 5 out of 5 stars.